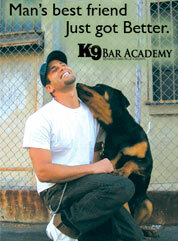 With K-9 BAR Academy, you can do so much more! Phone: Speak with Anthony for your dog training needs. Delivery: Send us a letter to our mailing address. Email: Send us an email using the form below. Please select the most appropriate contact reason from the Contact Reason field and be sure to type your email address correctly.